This is a photograph of Philip Holzman, Ph.D. (left) and Jerome Katz, M.D. 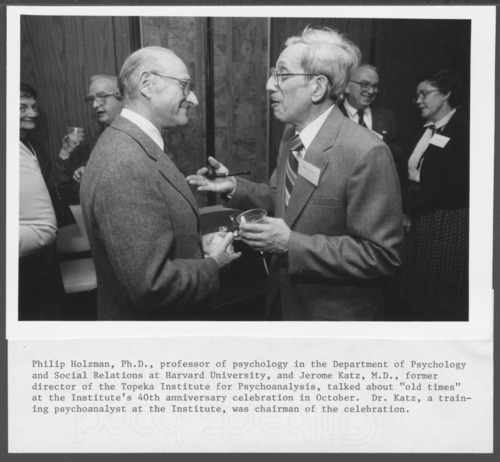 (right) at the Topeka Institute for Psychoanalysis' 40th anniversary, October 9, 1982. Dr. Katz, a training psychoanalyst at the Institute, was chairman of the celebration.